Windows Phone 8.1 is probably the most-anticipated update in the history of Microsoft's operating system for smartphones. The OS adds several essential features such as a notification centre, greater start screen personalisation, Skype integration and even a keyboard that lets you swipe to type. In April this year, Microsoft had unveiled Windows Phone 8.1 and its desktop counterpart Windows 8.1, promising several new features, bringing the platform on par with Android and iOS in terms of functionality. The update also adds a smart voice assistant called Cortana, but this feature isn't available in India yet. 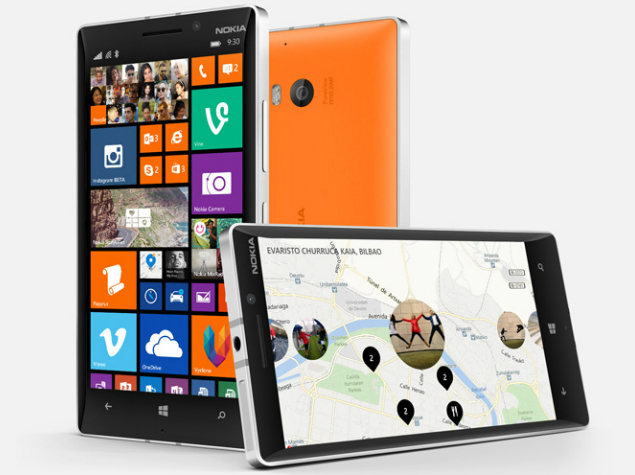 Microsoft had announced that the update would be rolled out to all Windows Phone 8.0 smartphones on June 24. Since the announcement, smartphones such as the Lumia 630 and Micromax Canvas Win have been launched with Windows Phone 8.1. Before you get to downloading the update, you should check which version of Windows Phone your device is running. To do that, open Settings > about. Here you will see the OS version under phone information. 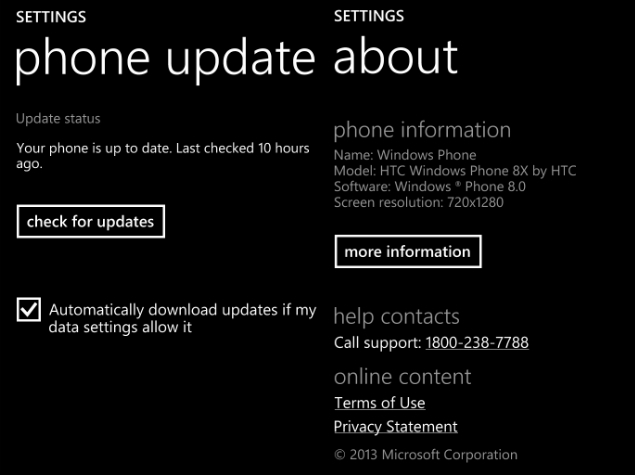 If it is Windows Phone 8.0, your phone should be getting the 8.1 update. Before updating, ensure that your phone has sufficient battery life. We recommend that you update while charging your phone to make sure that it updates without a hitch. Here's how to get the latest Windows Phone 8.1 update on your smartphone. 1) Open Settings, scroll down and tap the "Phone update" option. 2) Now tap "Check for updates". Your Windows Phone device will now check if the new update is available. You can download the update if it is available. 3) Alternatively, you may tick the option below check for updates, which reads: Automatically download updates if my data settings allow it. This way, your phone will update software automatically as long as you are on a WiFi connection. If your phone doesn't show any updates available, you'll have to wait a while longer. The review note on Microsoft's support site reads, "The distribution of these incremental updates may be controlled by the mobile operator or the phone manufacturer from which you purchased your phone, and installation will require that your phone have any prior updates. Update availability will also vary by country, region, and hardware capabilities." Alternatively, you may download the developer preview of Windows Phone 8.1 to get a taste of the OS before it is officially available for your smartphone.